Yours truly, after a great fishing trip with Canada's Best Guide Warren Hawrysh, just relaxing. I want to let everyone know if you want to go on a fantastic fishing trip, Warren Hawrysh is the guide you want to go with. If you haven't been to Canada, you're going to find the Canadian people to be the friendliest and nicest people you'll ever going to run into. They are like family up there, and I made a lot of good friends. 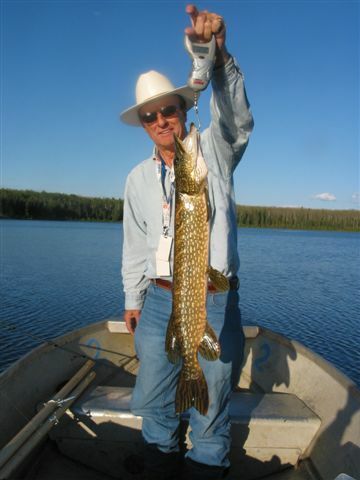 Yours truly holding up a 7lb 3oz Northern Pike caught in May 2008, on a lake near Fort McMurray, Alberta, Canada.